Announcing some new and regular conventions I’ll be attending in the coming months, including some post-apoc fun in Rhode Island, my first-ever, red-blooded academic conference, and a future trip to Oklahoma this fall. Click after the jump for more details! From the clean lines of the iconic vault suits of Raygun Gothic inspired Fallout, to the studded leather-and-steel chic look of Mad Max and other assorted post-nuclear fiction, we want to see you here looking like you just survived the end of the world, whatever that world may be. A discussion about female characters in steampunk literature and media. Are women in steampunk “feminist” or “traditional” in accordance with Victorian social roles? How about in today’s lens? We’ll talk about how women are represented and portrayed in various steampunk books and films, and give advice about what makes a female character believable, whether she’s a sky pirate, a countess, or a chimney sweep. Featuring guest panelists Magpie Killjoy, Mr. Saturday, Monique Poirier, and Leanna Renee Heiber. Beyond Victoriana, what steampunk possibilities exist? Come join us as we take you on a trip around the world to see how steampunk manifests in the minds of those who don’t think within a Eurocentric context, whether they blend Western influences, or use recognizably steampunk elements within a distinct flavor outside of Europe. We will also approach the ethical challenges that come up when engaging in multicultural steampunk and discuss matters of race, privilege, and cultural appropriation. A casual meet & greet for those interested in multicultural steampunk. Come dressed in your non-Eurocentric best or bring ideas for discussion about potential outfits. A historical presentation talking about the technological developments during the Meiji Reconstruction Period, and how Japan’s Industrial Revolution has influenced its media and pop culture. Featuring various anime and films that address the Meiji Era, including Rorouni Kenshin, Moeyo Ken, When the Last Sword is Drawn and more. One of the most popular anime franchises in Japan and North America is Fullmetal Alchemist, based on the manga written by Hiromu Arakawa. The manga has been produced as two separate series: a 51-episode run that aired from 2003 – 2004 (“FMA”) and a 64-episode reboot titled Fullmetal Alchemist: Brotherhood that aired from 2009 – 2010 (“FMA:B”). While both storylines center on a pair of alchemist brothers in the country of Amestris, politics concerning the treatment of marginalized groups play a crucial role. Moreover, the contrasting attitudes FMA and FMA:B have in how characters of color are represented visually and in terms of character development reveal how Arakawa’s world-building has been re-interpreted to express two dynamically different understandings concerning the sociopolitical agency granted to the racialized other. For this paper, I will analyze how FMA and FMA:B ‘s use of traditional speculative conceits influence their takes on race relations and investigate the dramatic effectiveness of each storyline’s message about discrimination. In FMA, alternative universes are used as a narrative twist, and racially-motivated atrocities in their world echo historical ones in ours. In the secondary fantasy world of FMA:B, however, the “master race” becomes literalized with the Homunculi, a group of alchemy-created superhumans. Each series’ handling of difference contributes toward a multifaceted global understanding of race as both series engage in the cultural intersection between nationally-targeted forms of entertainment and its consumption by international audiences. 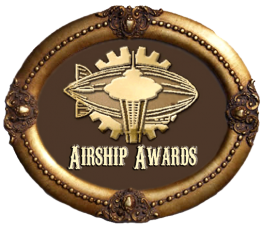 In October, I’ll be flying out to Octopodicon as their “Distinguished Professor of Steampunk Multiculturalism” (the title is quite flattering, actually). I’ll be joining maker Dr. Grymm, musician Professor Elemental and many more guest professors. With this project I hope to inform the viewer about the ever-expanding culture of cosplayers and explore why its participants devote so much of their time, money, and many of their weekends to their craft. I hope to document and explain the current state of cosplay as well as its history and the possible future of the phenomenon. I will also delve into how cosplay culture fits into a continuum of social belonging and role playing that goes back to the ceremonies and dances of ancient cultures, as well as Masonic organizations, and continues through the rise of hobbies such as historical first person interpretation of American history, Civil War battles, and even Renaissance fairs. In an increasingly fragmented niche culture dominated by electronic media in all of its forms, cosplay at conventions fills the vacuum left by the ceremonies and committees of old in a way that reflects today’s fragmented media culture.